We are working to offer new products with the quality you deserve. Will be available shortly. Our Vinegar Plant was born when Moisés Monge was an agent dealing in wines, grapes, grape juices, olorosos, and even barrels with noumerous Sherry district wineries and cooperatives in the early 70's. Videsan offers the best and widest range of products and services market with a large value, which makes us one of the reference sector. 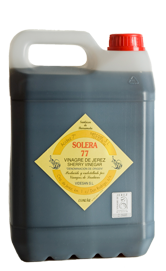 Jerez vinegar, which inherits the qualities of the Sherry from which it is made, has become a vital culinary ingredient and one of our country's most internationally recognized teasures. Having so many contacts it was easy for him to agree prices and facilitate transaction between them. The problem came when a winery ordered 12500 litres (25 barrels) of vinegar. It was difficult to find 5000 litres (10 barrels) of vinegar from amongst all the local vinegar makers, let alone 12500, so he had to find some from other producers from outside the district, such as Torrijos (Toledo), Tudela (Navarra). 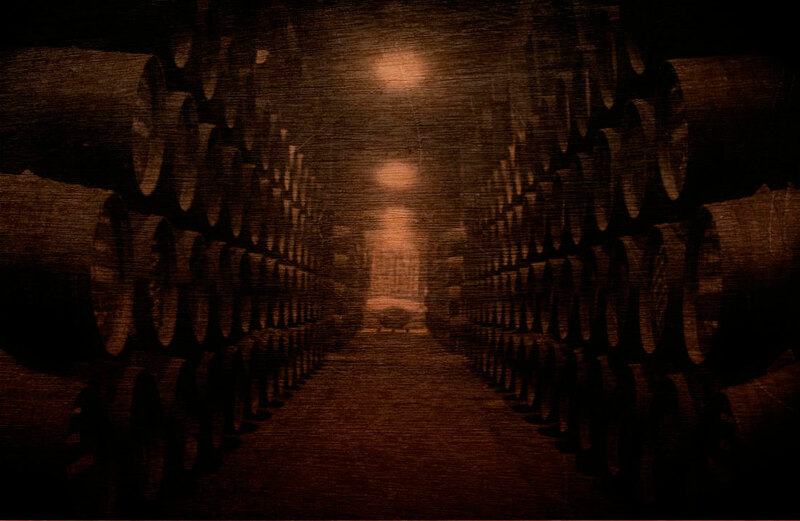 The fact was that here in the Sherry district if a winery had anu vinegar it was a blot on their image so the vinegar they ha was well hidden and was reserveed for que use of the owners and their friends. 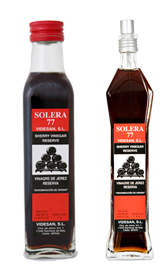 So we became the first Bodega in SAnlúar de Barrameda to exclusively produce Vinegar. Initially we only sold our products in the Sherry district but later we extended our sales abroad. Actually we sell our Sherry Vinegars in France, Germany, Sweeden, USA, Canada and China. Consequently, VIDESAN S.L. 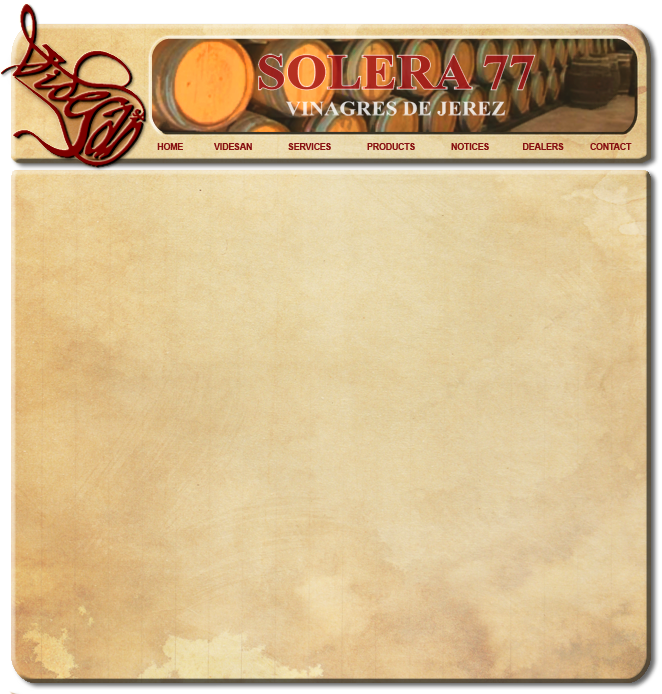 is the First company exclusively producing Sherry Vinegar, with 40 years of production experience. VIDESAN S.L. is backed by the "Denominación de Origen" quality certificate, No-15 9001-2000. 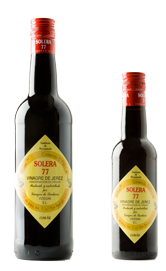 Videsan offers a wide range of vinegars with the PDO Sherry Vinegars. This range includes Several types of vinegars and packaging to meet the needs of each type of consumer. 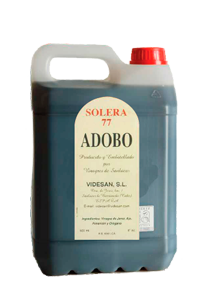 Videsan offers Sherry Vinegar with a superior aging to 6 months in boot of oak, contained in a 250 ml bottle comfortable. Pallet: 42 x 5: 210 cases. 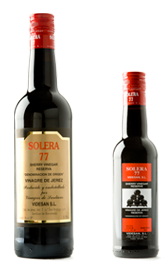 Videsan offers Sherry Vinegar with a superior aging to 6 months in boot of oak, contained in a classic Sherry Bottles. Pallet: 11 x 4: 44 cases. Pallet: 17 x 5: 85 cases. 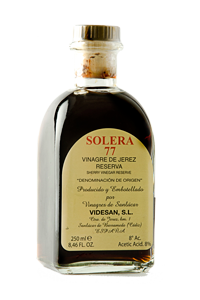 Videsan offers Sherry Vinegar with a superior aging to 6 months in boot of oak, contained in a Carafe of 5 liters. Palet: 10 x 4: 40 cajas. Pallet: 20 x 8: 160 cases. 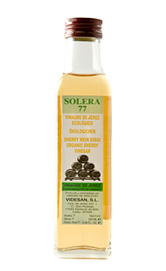 Videsan offers Sherry Vinegar with 6º acidity marinade with natural products. Excellent for marinate fish or meat. Emit a agreeable odor and flavor of andalusian in your cook and your table. 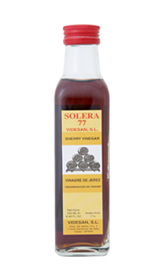 VVidesan offers Sherry Vinegar with 6º acidity marinade with natural products. Excellent for marinate fish or meat. Emit a agreeable odor and flavor of andalusian in your cook and your table. Pallet: 10 x 4: 40 cases. 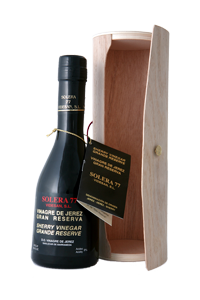 Videsan offers a Grande Reserve Sherry Vinegar with a superior aging to 30 years, surpassing the level required by the Regulatory Council of the D. O. Jerez. 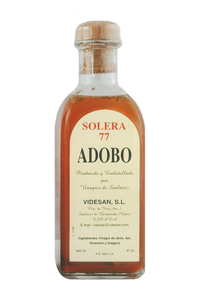 Videsan offers an Ecological Sherry Vinegar.